The hotel overlooks the beautiful and tranquil Queens Park The hotel is a short rail/bus journey from the heart of Glasgow. 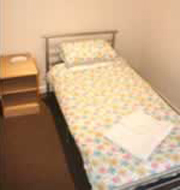 The Queens Park Budget Hotel is a no frills alternative to expensive accommodation, we simply provide beds!. All bedrooms are equipped with colour TV, tea facilities, a telephone & we also have free Wi-Fi in the lounge area. 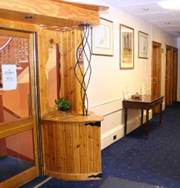 We are ideally located for Hampden Park and shopping in Glasgow. Our rooms are ideal for students, concert goers, backpackers, sports fans, workers & anyone looking for a crash pad for those unexpected overnight stays.